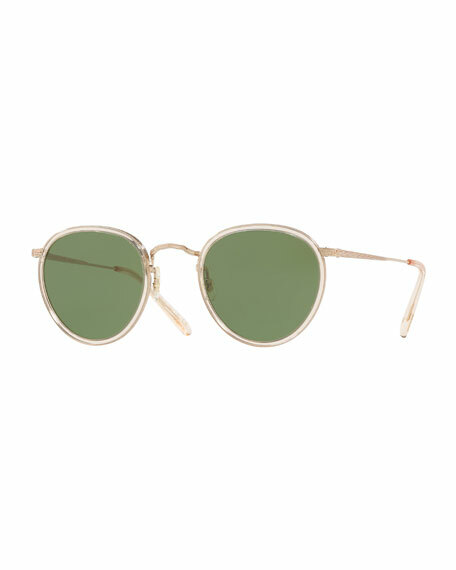 Oliver Peoples iconic "MP-2" sunglasses, launched in 1987. Filigreed metal frames with plastic inserts. For in-store inquiries, use sku #2297515.